I actually arranged my holiday weekend travel to see this fiasco from my hotel room. 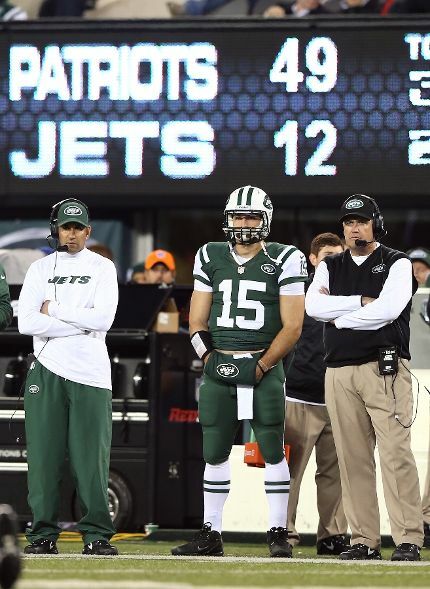 The Jets Thanksgiving night performance, like their 2012 season, has been a waste of my time. But not only were the Jets beyond awful, the NFL's ridiculous cross-promotion of Lenny Kravitz and his new song "Like A Jet" flopped miserably, tying a marketing campaign to a team with no life and a quarterback with no energy. But the day's biggest turkey was me. After a making a wonderful Thanksgiving breakfast for the kids: scrambled eggs, turkey bacon, cinnamon toast, and introducing Kit-Kat Pancakes, I got on a plane to Houston. I've been coming to College Station for many years now, and it has grown from the hole-in-the-wall it used to be. Now you can find every mid-level hotel, high-end restaurant chain, and every strip mall department store you can think of - all on one strip of state highway. Things grow and change, much like the Texas-Texas A&M Thanksgiving rivalry, which is no more. Aggies fans were still no doubt delighted to see the Longhorns lose on Thanksgiving night to TCU, but it only clears the way for the home finale, the 12th Man, and Johnny Football. The weekend is looking up.